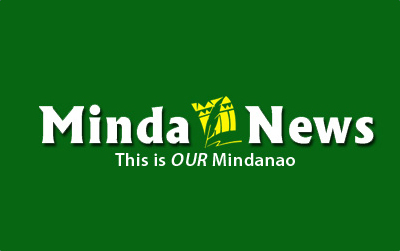 DAVAO CITY (MindaNews / 26 March) – On Thursday, 27 March, one prays to the God of many names that a gentle wind blows across the thousand islands of our ancestral territory in this part of the planet so we can savor the sweetness of this significant moment. From the depths of one’s heart, there is a prayer of gratitude. We, Mindanawons, may be scattered all over these islands and across the planet, but on this day, we clasp our hands together, bow our heads and acknowledge the grace that came from the heavens for the promise of peace. Even as we wish we are in some spot of the southern islands, we gather in whatever sacred places we can claim and raise a song of praise for this moment when we can – finally – walk in the path of peace! This has been our prayer for the longest time, through times of war and grief but also times of deep yearning for peace and hope especially for our children. We join our Muslim sisters and brothers across Mindanao especially in those areas that could – one day – belong to a Bangsamoro where justice flourishes, peace prevails and the people can live a life truly in consonance with human in their prayer to Allah for these intentions. We put ourselves in the presence of the God of Abraham and Sarah, Joseph, Mary and Jesus Christ along with our Christian sisters and brothers and seek the heavens’ intercession for the same intentions. And along with Mamalu and Tabunaway and all our indigenous ancestors, we seek to root ourselves in our indigenous belief system to pray for the dawn of a new day that brings the promise of a liberation from poverty, powerlessness and political bankruptcy. We pray for all those who died in the course of this bitter history of conflict – either as combatants or victims who died in the crossfire, baganis or peace advocates who suffered martyrdom – hoping that our sad memories will always make us vigilant to work for sustainable peace and not succumb to the call for vengeance. We pray for all those who made this peace agreement a reality – not just the key agents of the peace process also the nameless, tireless peace advocates who never gave up despite the frustrations and obstacles along the way – that they will continue to push this peace engagement until the next generations can truly enjoy its fruits. But even as we savour the sweetness of this moment – and truly everyone must celebrate this event with dancing in the streets to the beat of agongs and kulintangs while holding glasses of pangasi or tuba – we do not have the luxury of pretending that peace has reached our doorsteps already. For the promise of peace is in the in-between time: that characterized by an illusion and actual fulfillment. We all know that so much work still needs to be done and we need to continue to do our share in making sure we do not falter as we did in the past. In yet another liminality period, we should take to heart the lessons of the past and forge our partnerships to build stronger ties to combat all the elements that stand in the way. – The political will manifested by the Aquino administration and his team led by Secretary Ging Deles will stay on track with the legislative work at hand and that before the elections of 2016, all bases are covered to make sure that whoever leads this country beyond 2016 will sustain the peace process. That those in Congress and local government units – and of course, the military machinery – will share in this political will and not spoil the movement of this peace train in favor of their short-term selfish interests. That provisions be made that the benefits of this peace process in terms of wealth distribution will not flow into the hands of foreign and local elites but – not just trickle down – but flow abundantly to the majority of the Bangsamoro citizens. – That civil society (and all foreign and local agencies supporting them) could get their act together and minimize in-fighting and turf protection towards greater collaboration among themselves and with the State and grassroots communities so they can help push to expand the public sphere for information-sharing and transparency/accountability of all institutions who pride themselves as being stakeholders of this entire process. As civil society has, indeed, played a crucial role in this peace process, they need to even strengthen their ranks in the tedious work of making sure that development theories and praxis are not sacrificed in favor of quantifying their accomplishments to serve their own interests. – That religious leaders of all the faith traditions – especially those who hold social and symbolic capital – help to promote not just inter-faith but intra-faith dialogue among their ranks as biases and prejudices are deeply rooted in religious and even theological discourses that instead of promoting unity and communion only reinforce fragmentation and division. – That artists and cultural workers celebrate the gains of the peace process through their art but continue to remind Mindanawons and the whole country that we have a checkered history that continues to demand healing and reconciliation at all levels. – That all those in privileged positions make sure that the VOICES of the ordinary citizens – of all ethnolinguistic background, faith tradition, class positions, genders, ages and whatever other categories that are there to be considered – are surfaced, heard, seriously considered and made the markers when assessments are made. Otherwise if the majority of the Moro, Lumad and migrant settlers are once more pushed to the margins and could not own this peace process, what is the promise of its fulfillment? It will continue to remain a dream, unreachable for those who wish it to become a reality. And a final prayer that we can all say together, a prayer handed down to us by someone named Francis who lived in the margins and opted to be break bread with the poor, shared stories with people of other religions and who thought of the sun as his brother and the moon as his sister: Lord, make me an instrument of your peace, where there is hatred let me bring your love, where there is injury your pardon Lord, and where there is darkness ever joy.